Orange Bank says it is brining “unique customer experience” with its new virtual advisor, Djingo, powered by IBM Watson. It also claims to be the first mobile bank in France with a customer relationship model based on artificial intelligence (AI) technology. Orange Bank, a new mobile bank launched by telecoms operator Orange last autumn, has around 100,000 clients today. They can now interact with Djingo, which can answer their questions in natural language and perform actions such as blocking a card in case of loss, or unblocking it. 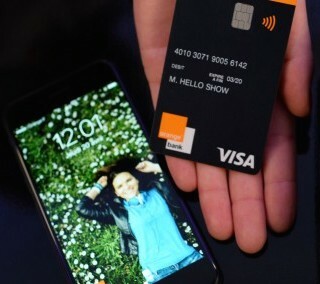 “Mobile banking is becoming for French people the preferred mode of interaction with their bank,” Orange Bank says. It cites research that nearly two out of three (63%) have downloaded their bank’s app on their mobile, and almost one out of two (47%) consults the app at least once a week. Available 24×7, Djingo is the first point of contact for customers and prospects with the bank. Every week, almost 24,000 conversations are performed by Djingo, the bank says, with nearly 20% of these conversations taking place outside traditional working hours. The conversations are “constantly analysed” by a team of Orange Bank and IBM specialists to improve the knowledge of the virtual advisor. Jean-Philippe Desbiolles, VP of IBM Cognitive Solutions France, says Djingo understands more than 85% of the questions asked in natural language. Orange Bank says its new relationship model relies on IBM Watson and Salesforce CRM “to create a fluent interaction regardless of the channel used”, enabling “omnichannel management”. The bank is accessing the Watson services through the IBM Cloud.